Home > E-cigarettes > Health > Vape > vape life > Vaping > How to Keep Health While Smoking? With the increasing concern on health, e-cigarette has stepped into public. At the same time, due to inadequate understandings and false propaganda, some people still holds the view that e-cigarette are the same as traditional cigarettes and do harm to our health. Is e-cigarette really harmful to our health？In order to figure out this question, we have to know the structures and raw materials of e-cigarette first. In order to enjoy our vaping life, we have to buy e-cigarette and e-liquid. The relationship of e-cigarette and e-liquid is similar to that of guns and bullet. 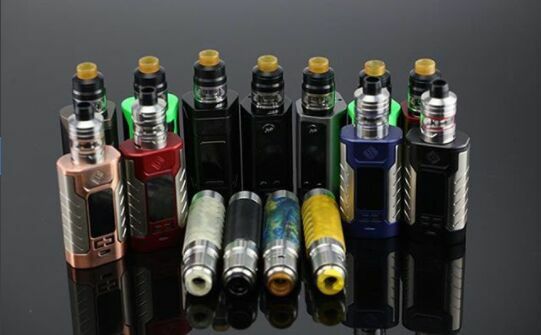 The working principle of e-cigarette is that atomizer coil, powered by battery, heat e-liquid and turn it into gas state. E-cigarette only serves as a tool, what really matters is the ingredients of e-liquid. Having fully understand the relationship between e-cigarette and e-liquid, we can come to the conclusion that whether e-cigarette is harmful or not depends on the ingredients of e-liquid. For standard e-liquid, the ingredients includes PG, VG, essence and additives, all of which are made of medicine or food grade. Thus it is recommended to buy e-liquids from reliable suppliers and pay close attention to their quality control system. There is another ingredient in some e-liquids, nicotine, which is addictive and is harmful when it reaches to a certain amount. Nicotine is the ingredient which is capable of relieving tobacco addiction. Thus for vapers addicted to cigarette, e-liquid with nicotine is their first choice. The package of e-liquids is usually marked with nicotine content, which is 0mg 3mg 6mg and 12mg. The content is not enough to directly do harm to our health. However in order to keep a healthy life style, it is recommended to choose e-liquid with less nicotine. In keeping health, e-cigarette holds absolute advantage over traditional cigarette. In order to have a healthier lifestyle, we are suggested to choose standard e-liquid and with less nicotine content.